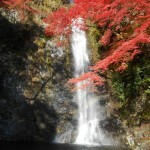 icon-leaf Brings you in touch with Japan’s natural beauty. 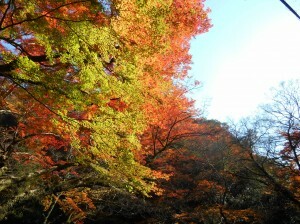 icon-leaf Escape from the noise of Osaka City within an hour. 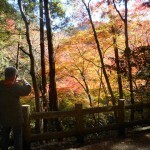 icon-leaf See why people keep coming back season after season. 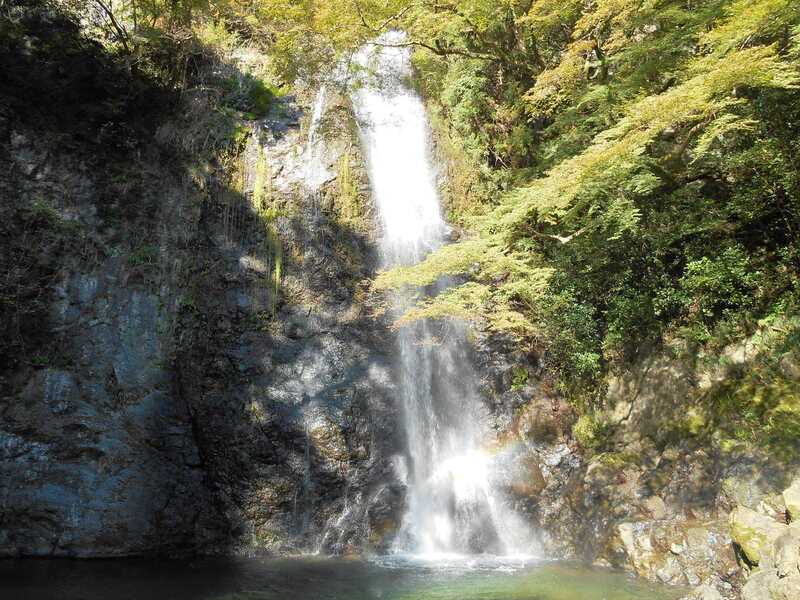 Minoh Falls (sometimes spelled as Mino or Minoo) is a main natural attraction within the mountains of Minoh Park which is open to the public free of charge. 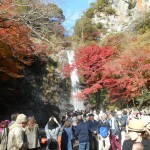 It is 33 meters high with a 5 meter width and falls right before your eyes. 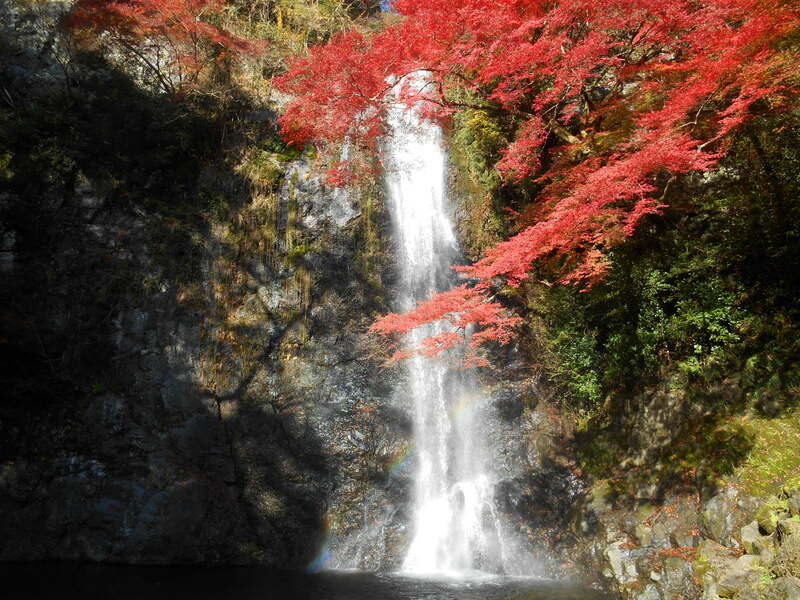 Dating back a 1300 years in the Asuka Era (592~710), it was written in historical documents that En-No-Gyouja performed meditation under the Falls. 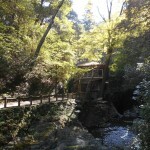 The Minoh Park is one of Japan’s oldest National Parks located in Minoh city which is north of Osaka city. 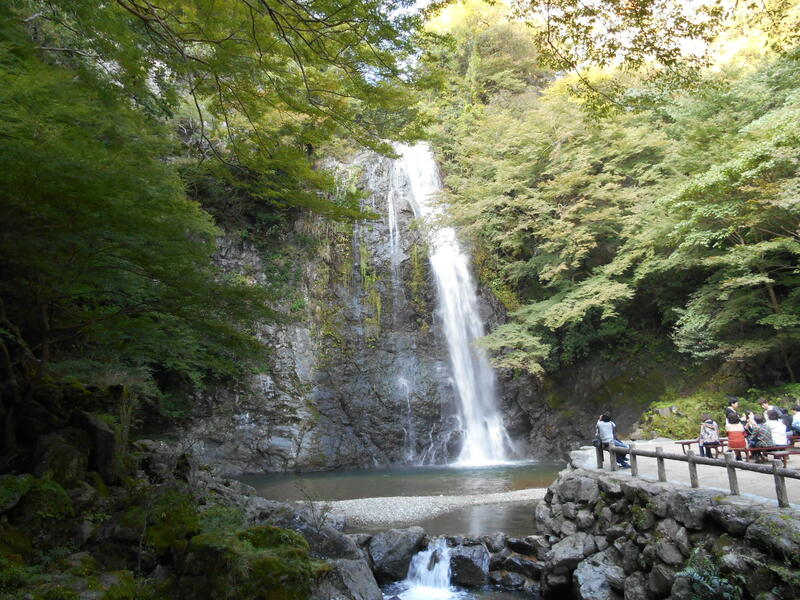 You could reach there in 30 minutes by using a train from Umeda in central Osaka. 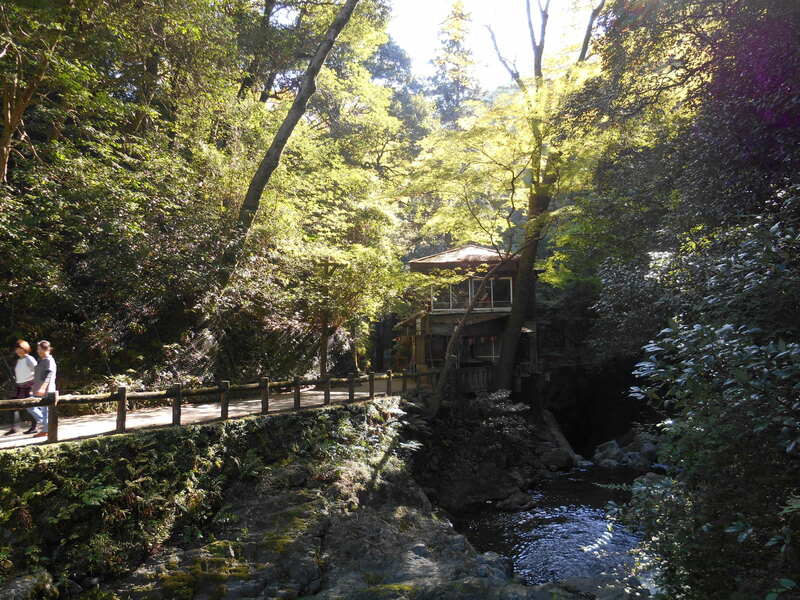 The park houses 980 different plant habitations of lush green forest, 3000 insect species with an insect museum all along a picturesque hiking path. 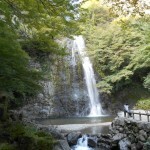 The hiking path to Minoh Waterfall starts with a short walk North of Minoh Station. 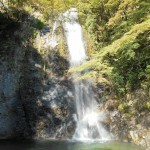 It takes about 45 minutes or approxiamately 3 km to walk up along the Minoh river until you reach the Minoh Falls. 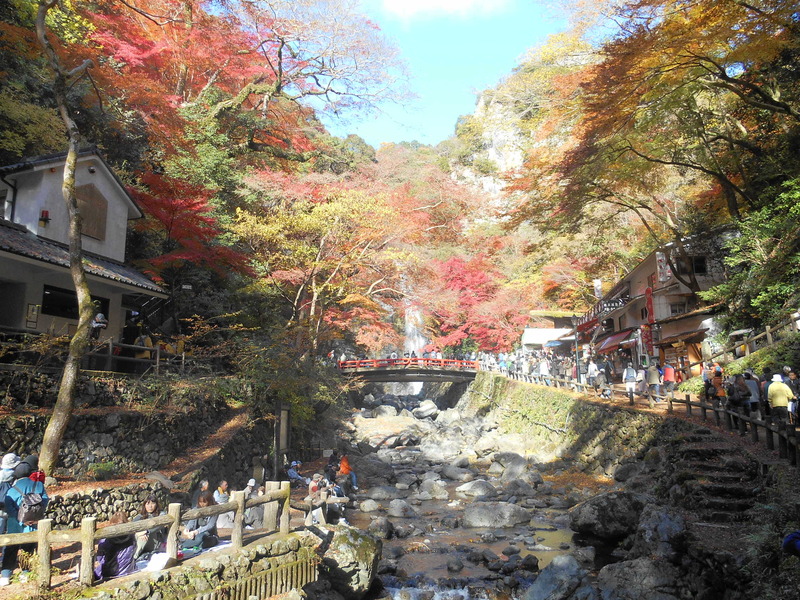 The first part of the walk begins by passing through many shops selling Momiji tempura which are fried Japanese maple leaf sweets original to this place. 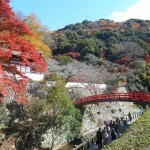 Along the way you will pass by Ryuanji Temple with it’s pretty red bridge. 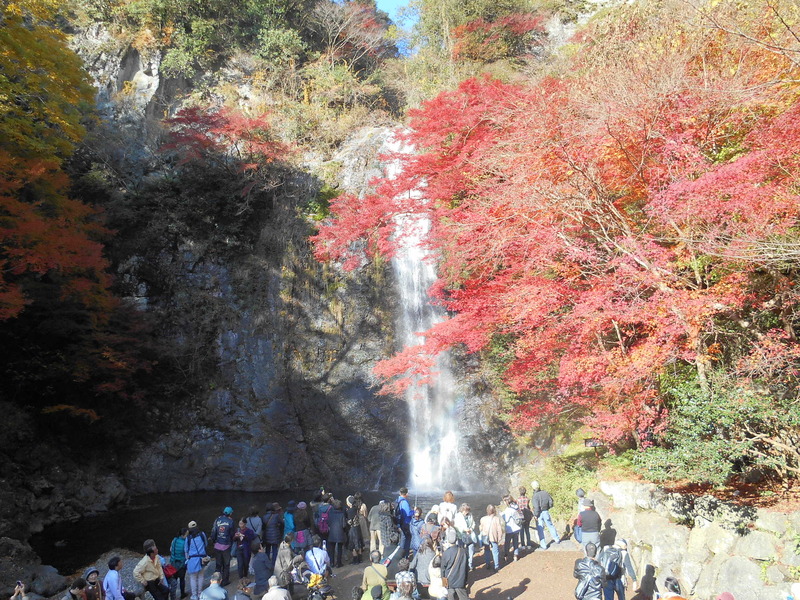 The walk up to Minoh Falls are worth a visit any time of year, surrounded with its refreshing green forest, and one of the best seasons is in late Autumn when you can see the beautiful Japanese red maples. 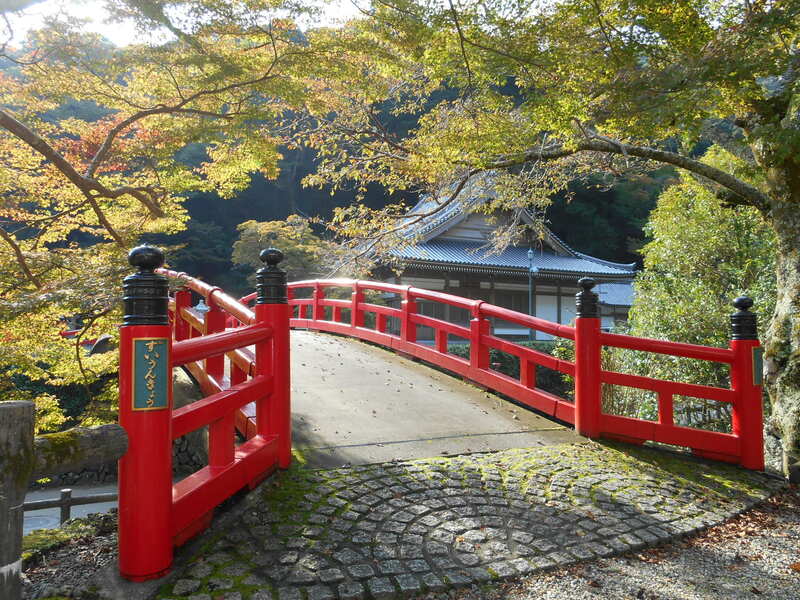 The area of Minoh city is about 47.84 square kilometers and has a population of approxiamately 130,000 people who live mostly in the southern part of the city. 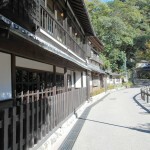 Since Minoh had officially became a city in 1956, it has become a wealthy surburban residential area. 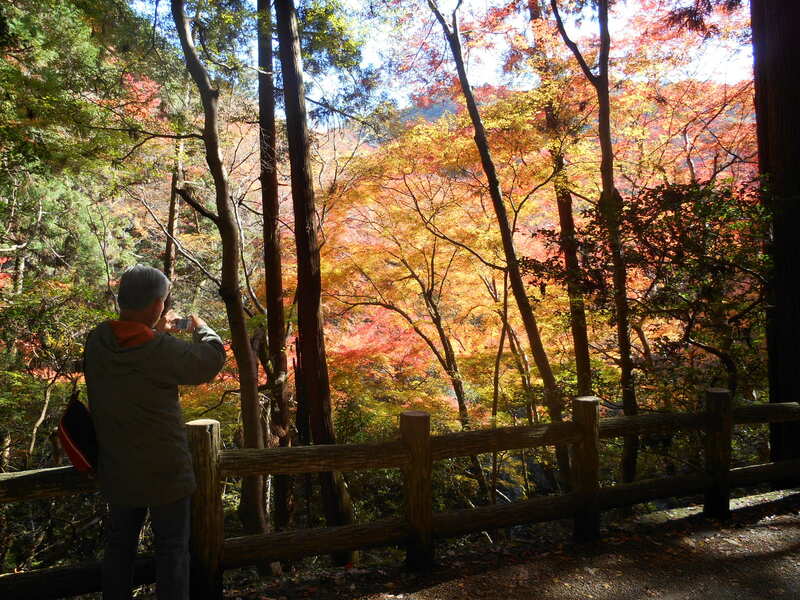 Also known as the zoological name Acer Palmatum, the symbol tree of Minoh city is the Japanese maple, which make up most of the forestry in Minoh Park. 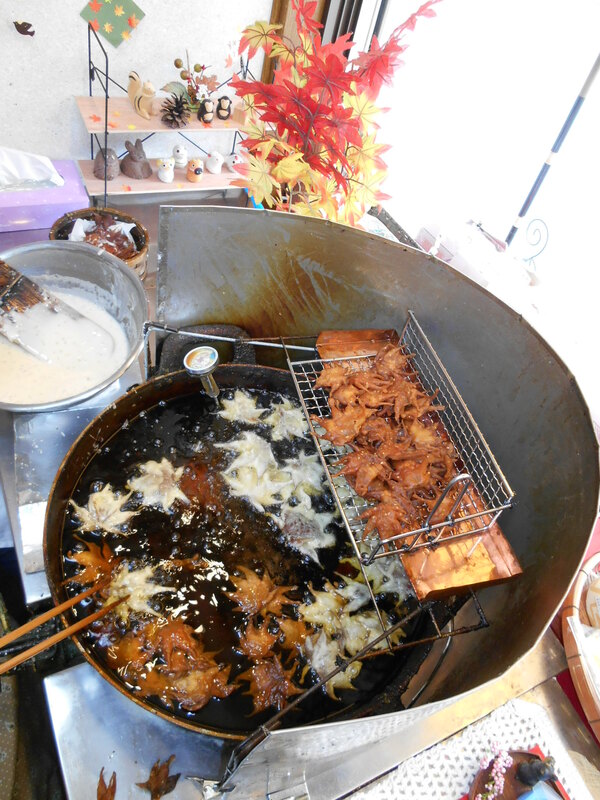 The famous Momiji-No-Tempura(deep-fried maple leaf) is made from edible Japanese maple which differs from the city symbol maple tree. 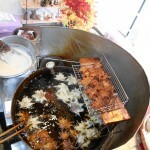 These edible type of leaves are salted and processed over a year before they are fried. 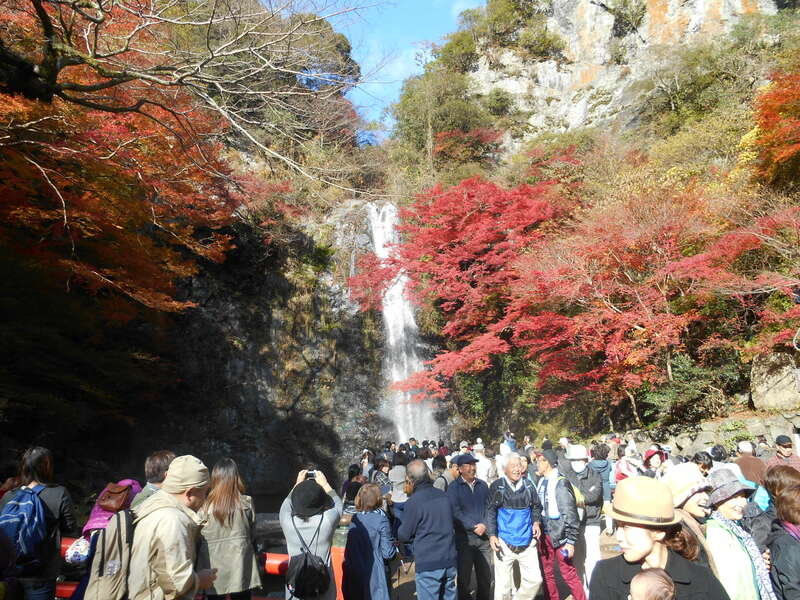 When people think about Minoh they have images of the Minoh Falls, Momiji-No-Tempura and monkeys. 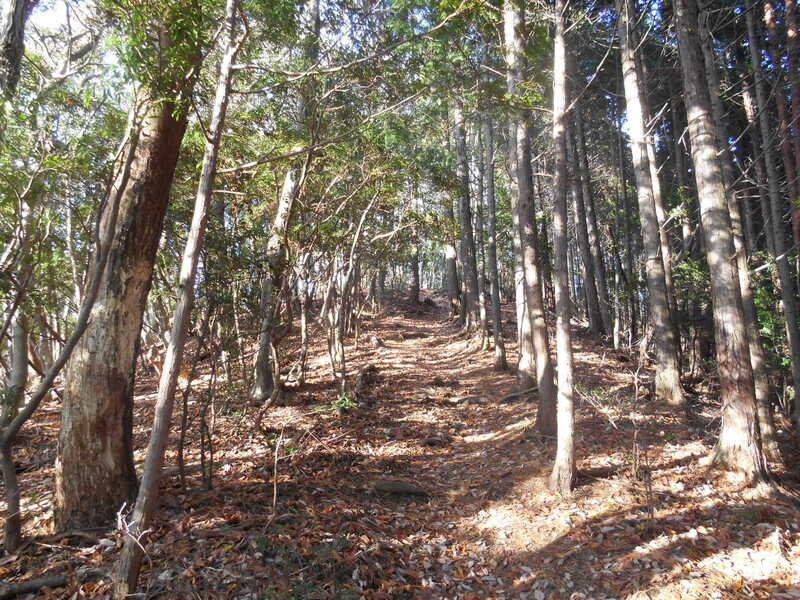 There existed about 90 monkeys in the Minoh mountains in 1956 and was named as a natural treasure. 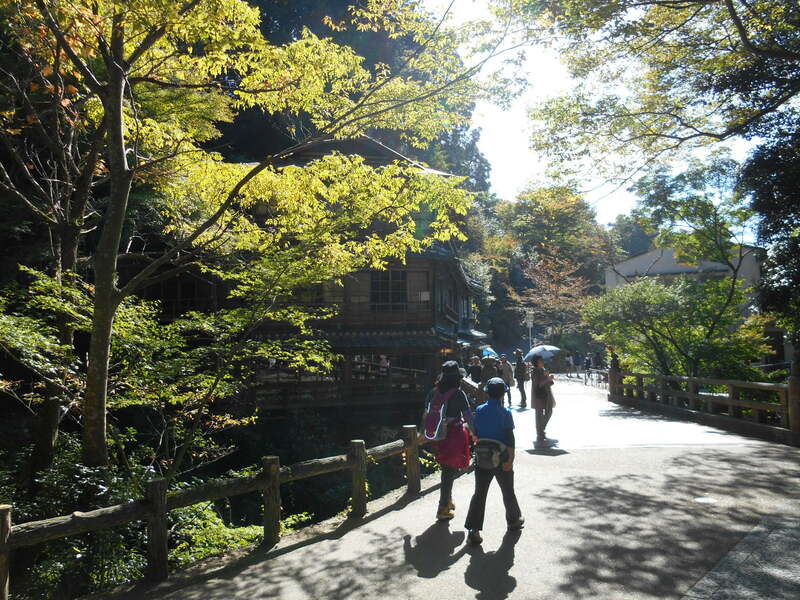 In 1977 the monkeys multiplied to about 650 and caused damage to houses and crops as well as steal food from tourists. 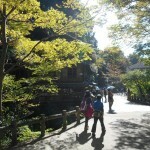 The city made efforts to drive the monkeys away by feeding them on the western side of the mountain away from people. 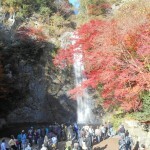 However even today monkeys still appear near the falls and there is a strict rule not to feed them. 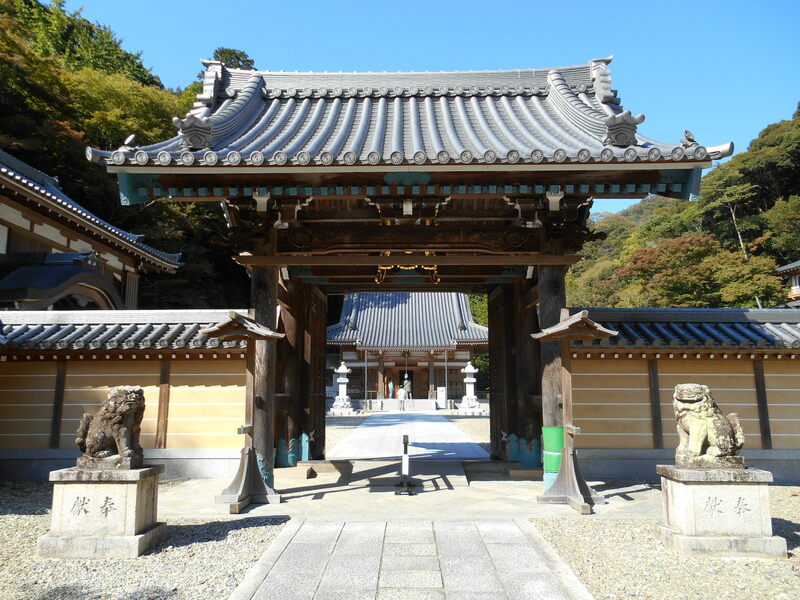 En-No-Gyoja (634-701) who is the founder of “Shugendou”, came to Minoh in 652 when he was 19 years old. 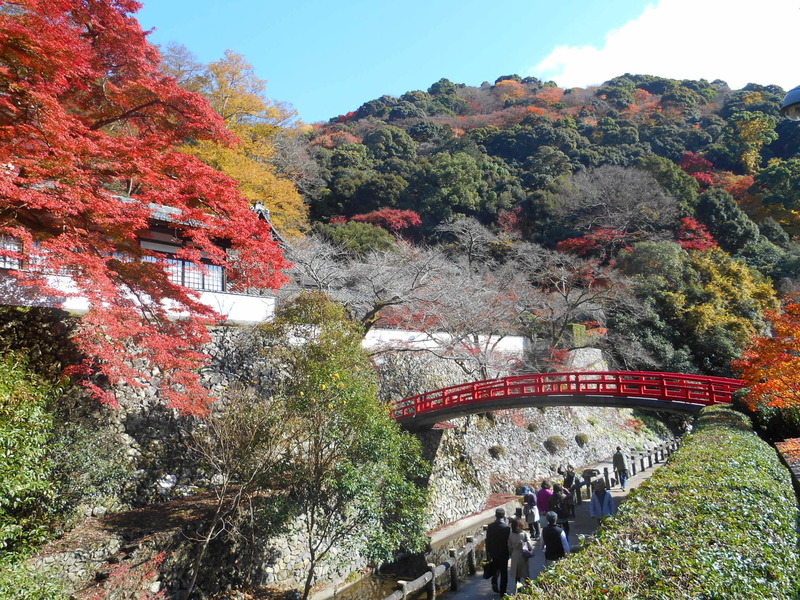 “Shugendou” is an ancient Japanese mountain worshipping for obtaining enlightenment by practicing deep within the mountains. 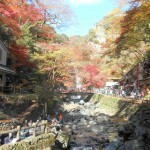 He had performed meditation under the Minoh Waterfall until he became 22 years old. 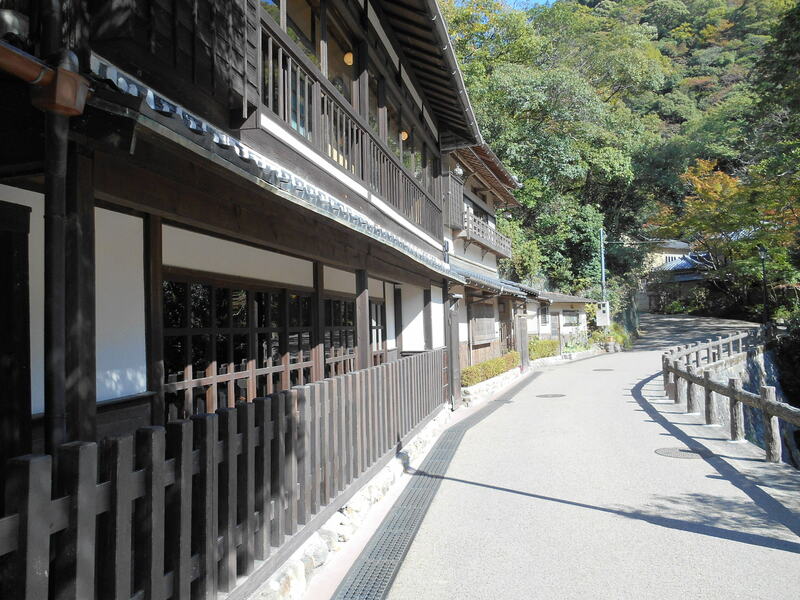 He also built Ryuanji Temple and Saikouji Temple near it. 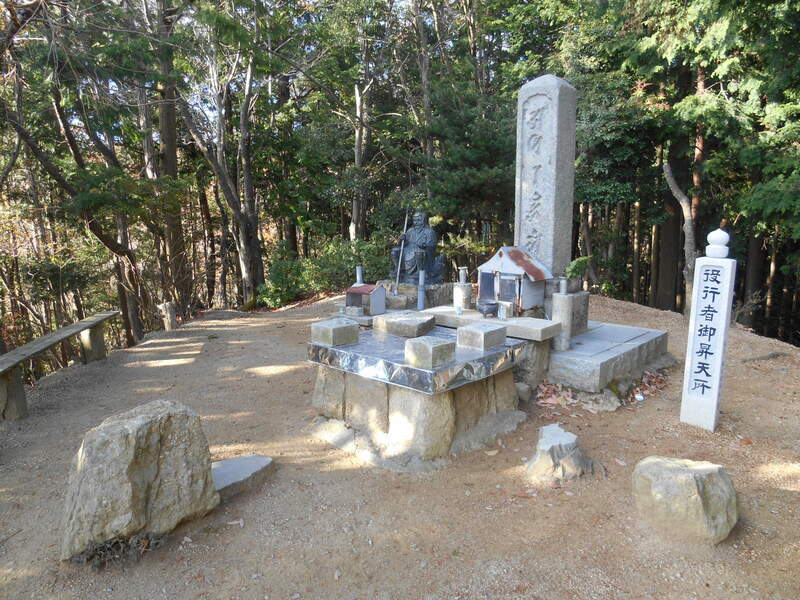 He is also known to command magic and have supernatural powers which remains as a legend in many places in Japan such as “He could root people to the ground with his magic”, “He used to use Oni(ogres) as servants for him”, “He could fly or walk on the sea”. When he was 66 years old in 699, he was exiled to “Izu-Oshima”, an isolated island because of the false accusations. 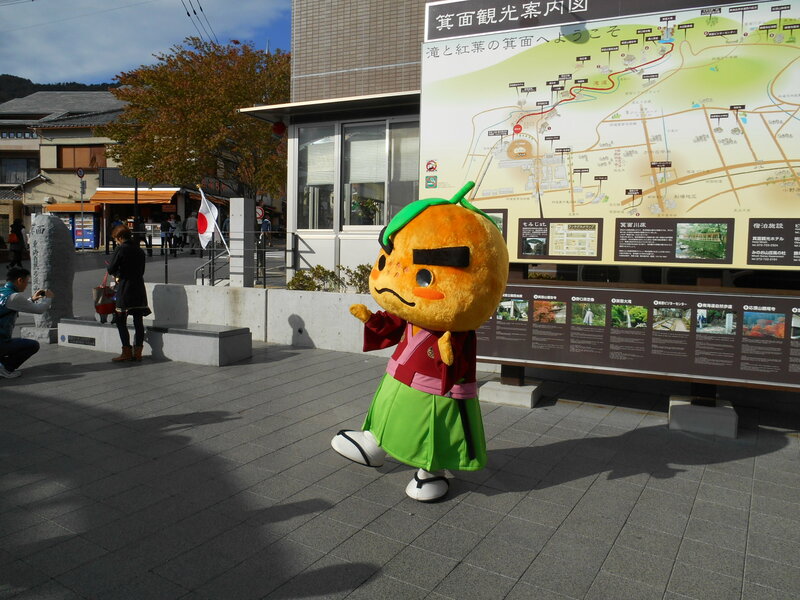 He was envied of his supernatural powers by his disciple who made the rumor that En-No-Gyoja was delusioning people with his words and power. 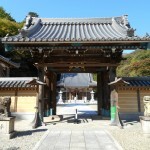 On January in 701, he was proved to be innocent and was invited to Nara which was the capital of Japan at that time. 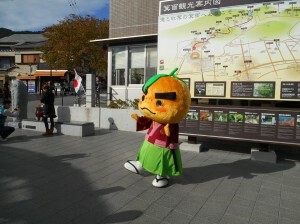 However soon he came back to Minoh and spent the rest of his life there. 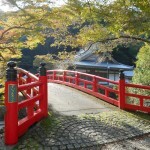 On June 7th the same year he was raised to the sky from “Tenjougatake” deep in the mountains of Minoh Falls. 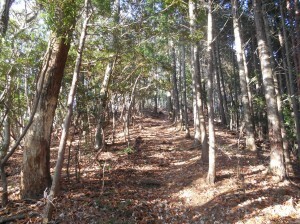 2017/11/15 Temporary blocked in the middle area of the trail. 2014/12/2 New to the galley page " Video clip of Minoh Forest "
2014/11/12 A police man who died on duty in Minoh.